CPMR member regions have presented to the European Parliament their views on the European Commission’s proposal for revision of the Eurovignette Directive. As part of its new mobility package, the European Commission is proposing to revise the Eurovignette Directive of 17 June 1999, on taxing heavy goods vehicles for the use of certain infrastructures. These proposals are currently being reviewed by the EU institutions, including the European Parliament. 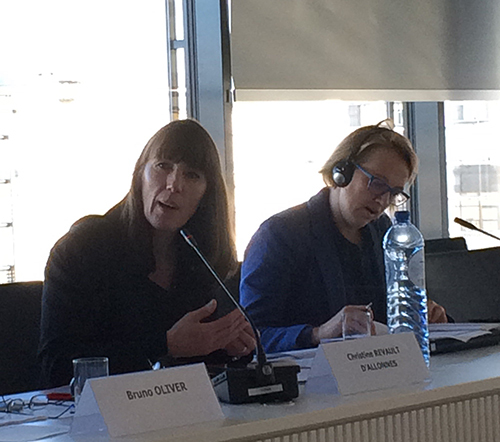 At the meeting of CPMR’s transport working group on 28 November in Brussels, Christine Revault D’Allonnes, the European Parliament’s rapporteur on the revision of the Eurovignette, attended the meeting and presented the priorities that will be highlighted in her report, to be published before Christmas. She also listened to the views of the CPMR’s member regions. The CPMR had previously invited the Regions to share their questions and proposals on the draft revision. One of the proposed changes the rapporteur wishes to make to the directive is to include “competent local authorities”, and not only the Member States, in deciding how to adapt the way the directive is implemented at national level. She also wishes to find a way to take into account the concept of periphery in the revised Directive. Ms. Revault D’ Allonnes’ draft report will be debated on 22-23 January in the Transport Committee of the European Parliament.